Why might Gray Squirrels gather stones? From Craig Kesselheim and Beth Dilley, Southwest Harbor, Maine, Dec. 29, 2014: We have just noticed this same behavior in our yard on the coast of Maine, and have been intrigued and mystified. It’s good to know that others have seen the same phenomenon. In our case the stones and the cache are about 20 feet apart, so we can watch the full event. The stone supply is a skirting of 1 – 3 inch stones around our garage. The cache location is among leaves under one of our ornamental shrubs. 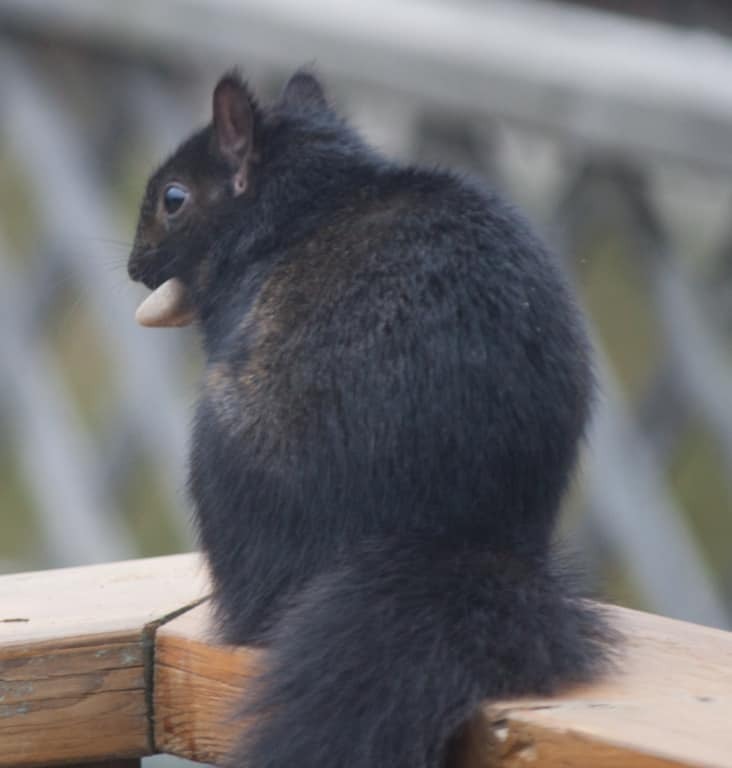 From Ginny Clark, Peterborough, ON, Nov. 26, 2014: I finally got some pictures of the squirrel with a rock. He likes to lick it all over before he runs away along the fence to the woods behind us. I went back there, but could see no evidence of burying them, although there seem to be lots of places to hide stuff in the underbrush. It does not look like they are carrying them to their nests way up in the trees. Still a mystery!